Luis, Mark, Rick and Sebastian took a boys’ weekend trip to Bird Island a couple weeks ago. They said they were going to work at the island, but these pictures show that they may have had some fun, too. 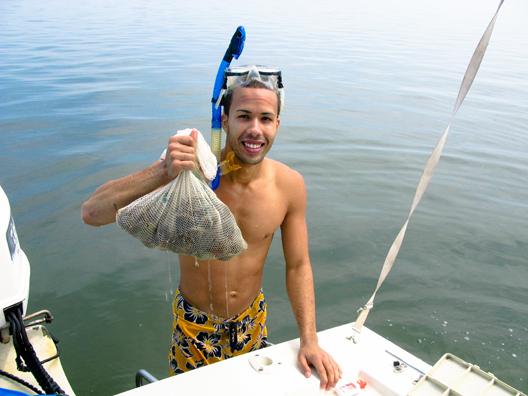 Scalloping is an extremely rewarding and fun experience. Yes, it’s all about fun, not competition (Ha! Some of these boys seem not to understand this part! 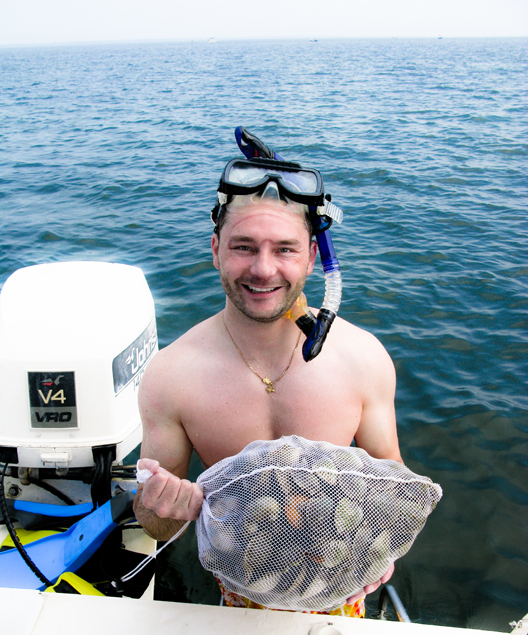 ), and if there are scallops present, all you need in order to gather them is a sense of adventure. And a Florida recreational saltwater fishing license, I must add.